I did not know kombucha has so much caffeine.👀 I came across a group photo the other day of the Treleavens. Since I couldn't sleep I uploaded a youtube video I've been working on. I didn't know a lot about this family until about 5 years ago. Now they are some of my favourites, so I've given each of them a close up.🎥 Good night! 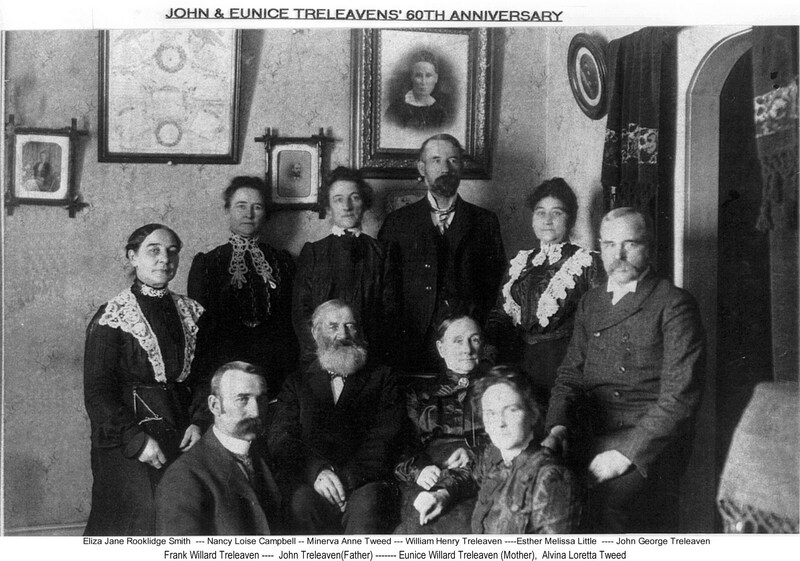 In 1882 John and Eunice Treleaven moved from Lucknow, Ontario and homesteaded near Crystal City, Manitoba. They crossed into North Dakota where John farmed until 1902. When he retired they moved to a small cottage on Moffat Avenue in Pilot Mound, Manitoba. Update: Read more about Minerva Treleaven and the family here.